Playtech launched a £500,000 Casino Cash Giveaway promotion last week! Playtech is sure making a lot of noises these days! Not only did they launched the first Omni-channel game with Coral group last month, but on 22nd March they’ve also announced a new promo worth ½ million pounds sterling. This extra generous network promotion will take place over the course of 28 days and started last week. It also coincides with the release of 3 new DC-branded games inspired by blockbusters: Superman: The Movie (1978), Superman II (1980) and Man of Steel (2013). How can you get your hands on a share of the money? In order to qualify for the giveaway, players will need to wager a minimum of £10 weekly on the following game titles: Superman, Superman II, Man of Steel, Green Lantern, Space Invaders, Halloween Fortune II, Buffalo Blitz, Age of the Gods and Plenty O Fortune. Each £10 wager will give one entry into the weekly draws. They’ll be 4 draws in total where players will share the £500,000 prizepool. 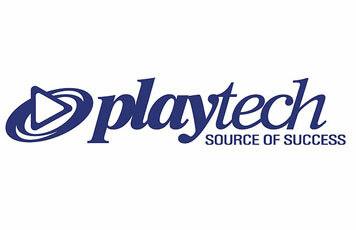 In the spirit of generosity and fairness, Playtech wants to reward as many players as possible. One lucky winner will get £5,000 weekly and other smaller cash prizes of various amounts will also be distributed. Try the new games we’ve mentioned and see if you’ll be lucky in the cash draw. Waste no time and head over to VideoSlots who offer Playtech games. A great think about this huge cash giveaway is that players can use bonus funds to meet the minimum wager amount and guarantee themselves at least one raffle ticket. VideoSlots welcomes new depositors with 100% bonus up to £200 and 11 free spins no deposit required. They’ve also recently added a brand new feature to their battle of slots lobby called the Joker status. This new addition allows players to double-up their leaderbaord winnings when pre-registering to any tournaments. Dare to tempt faith? Sign-up today!